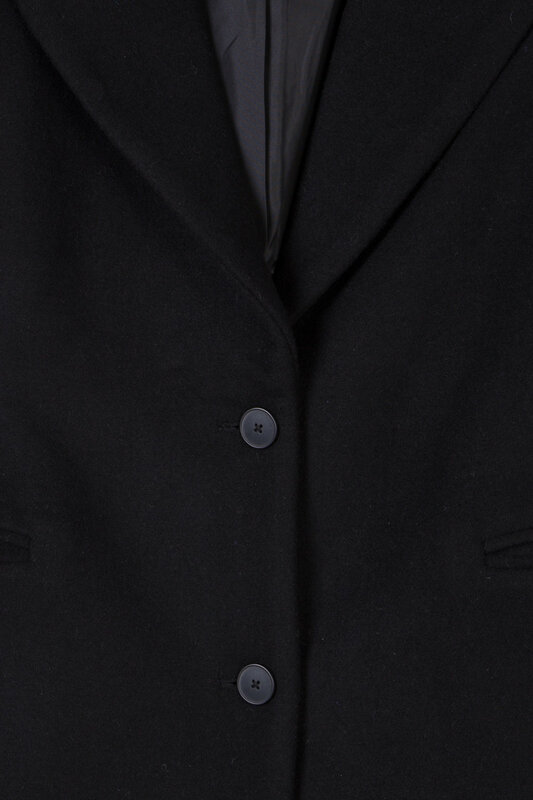 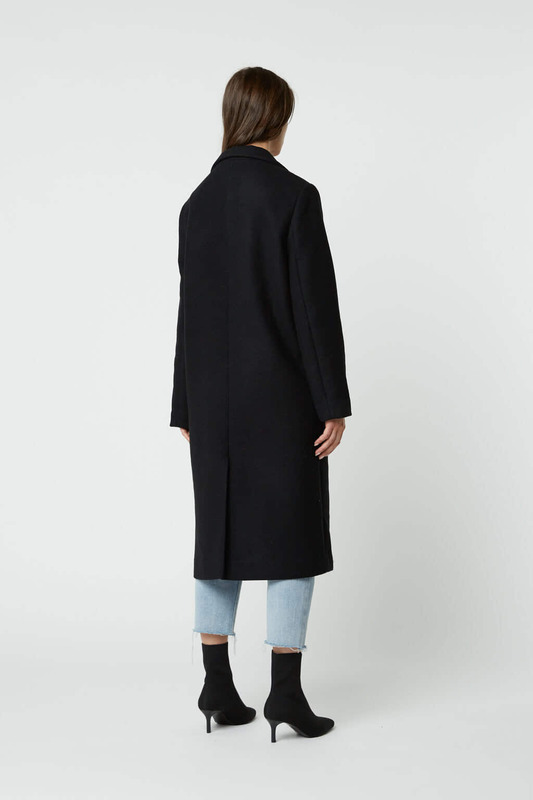 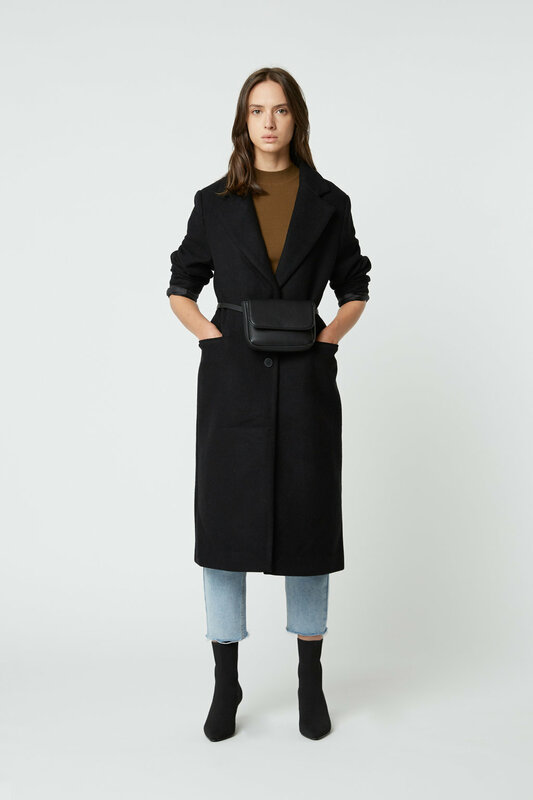 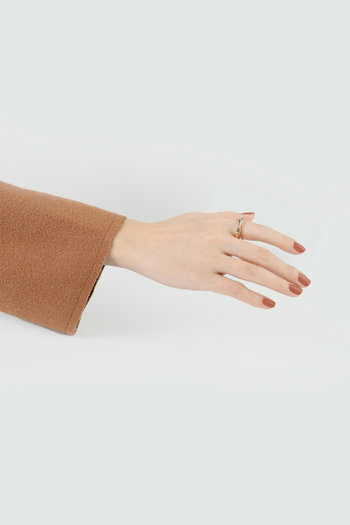 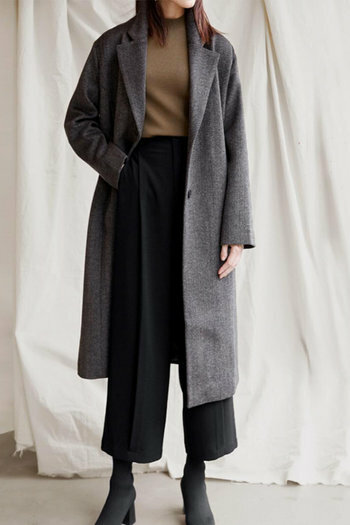 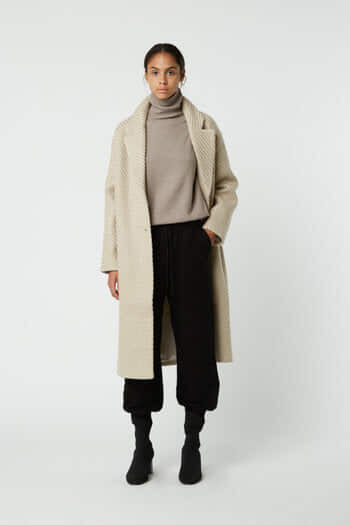 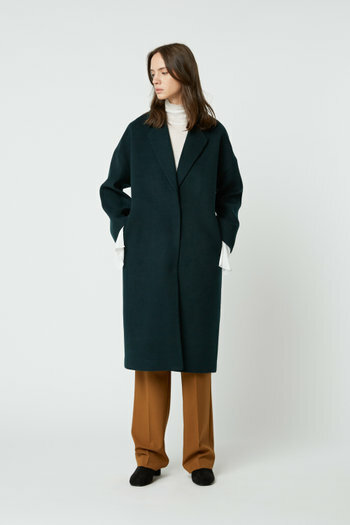 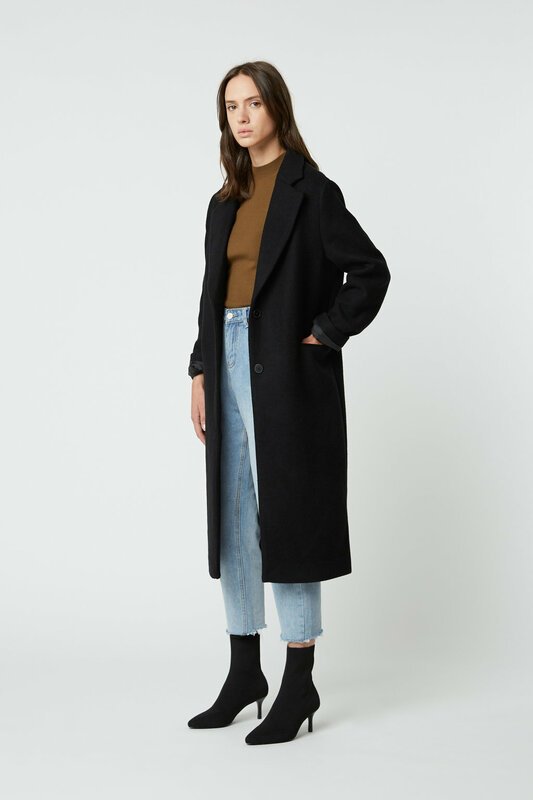 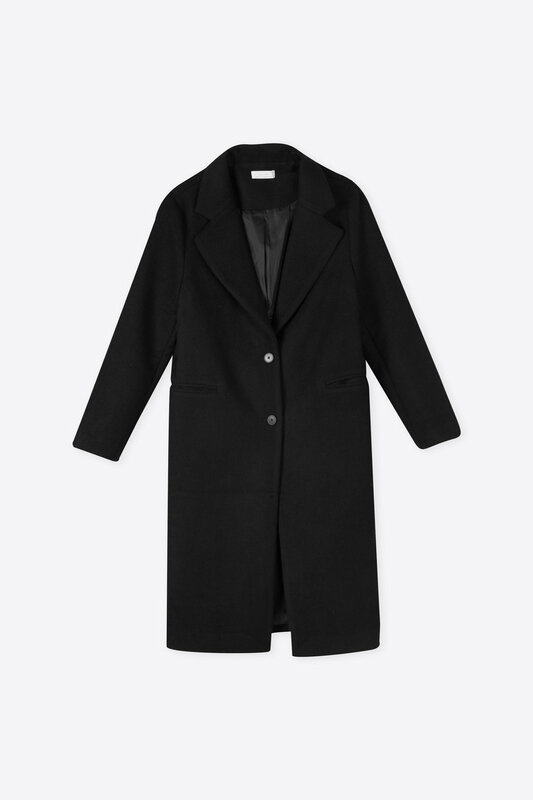 An essential piece to complete all of your ensembles this upcoming fall season, this classic coat features a relaxed fit detailed with a notched lapel collar, a back slit and front welt pockets. 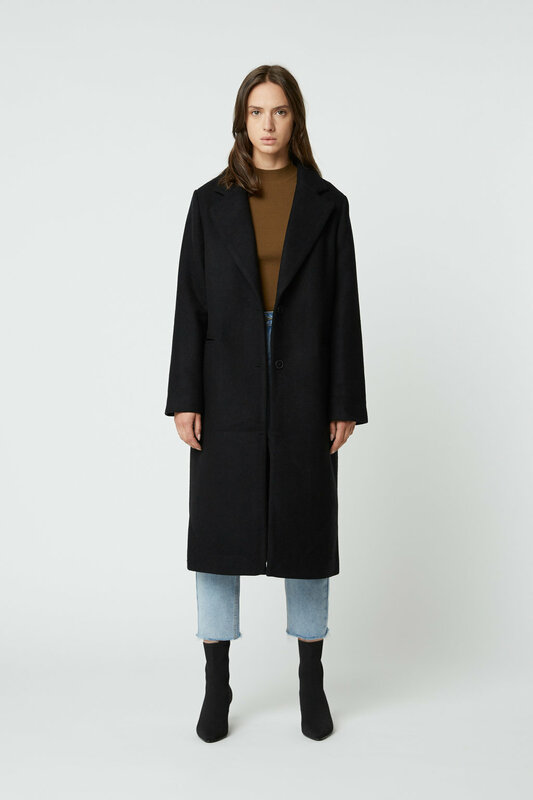 Fully lined and made with touches of wool for optimal warmth, this coat allows an easy wear and pairs well with any outfit. 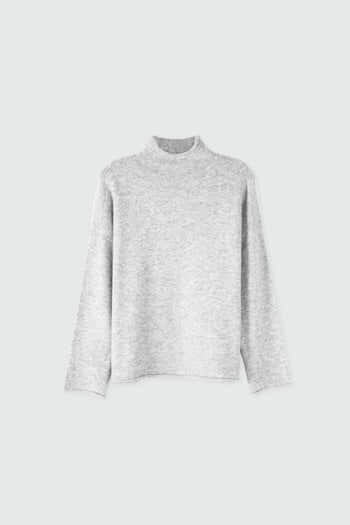 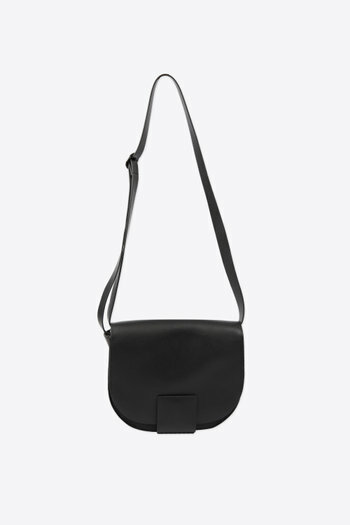 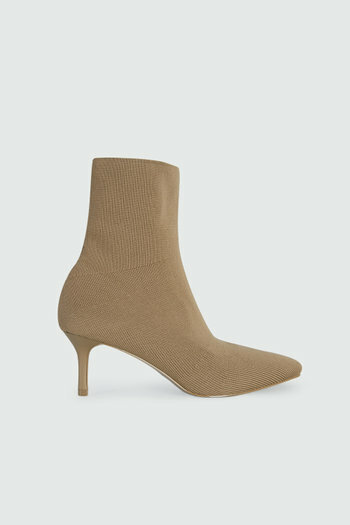 Try styling this piece over a knit sweater dress and finish off with ankle boots for a sophisticated and polished look.